– Best Video Slots from NetEnt, Microgaming, Play n’Go, BetSoft and more! – Welcome Bonus Package of £/$/€500 + 150 Free Spins! – Licensed by the Malta Gaming Authority! WildSlots Casino was lunched in 2016 and is one of the latest brands to join the EveryMatrix platform. What is very interesting with this casino is that they only offer slot machine and a very large number of them. In fact, there are close to 1,000 slot machines available at WildSlots Casino; all provided by a great collection of games vendors including NetEntertainment, Microgaming, Play n’Go, NYX Gaming, BetSoft, EGT, iSoftBet, IGT and QuickSpin. As most online casino players are aware, these games providers are responsible for having produced the most popular online video slot machines on the planet. And even more; they have produced some of the highest ever paying online progressive jackpot slots like Mega Moolah (Microgaming) and Mega Fortune (NetEntertainment). The game lobby at WildSlots is great. There are several different filters to use in order to easily be able to locate your favourite slot machines including Game Vendors, Video Slots, Classic Slots, Jackpot Games, Popular Games and Newest Games. WildSlots Casino is supported on desktops, mobiles and tablets so there will not be any problems in finding a great selection of slots to play whether device you prefer to use. WildSlots Casino offer customer service all around the clock. You can easily contact them by e-mail or use the instant live-chat function which is available all around the web site. They offer player support in several different languages including English, Finnish, German, Norwegian and Swedish to name a few. WildSlots Casino is operated and managed by EveryMatrix Ltd and they are licensed by the Malta Gaming Authority and the Government of Curacao. WildSlots Casino’s Welcome Bonus Package: £/$/€500 + 150 Free Spins! 1st Deposit: 150% match on deposit up to £/$/€150 + 150 Free Spins on Starburst! 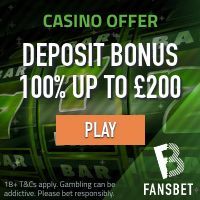 2nd Deposit: 50% match on deposit up to £/$/€200! 3rd Deposit: 75% match on deposit up to £/$/€150! The minimum deposit for these three match bonuses is €25 (currency equivalent). The deposit match bonuses are subject to a wagering requirement of 40x the bonus amount. Winnings from the free spins needs to be wagered 30x. WildSlots Casino accepts all major payment methods including credit/debit cards, e-wallets, pre-piad cards (e-vouchers), several regional instant bank solutions including QIWI, Mobile Payment, EUTeller, Ideal, Sofortueberweisung, WebMoney, GiroPay and many more. You can also use mobile payment like DOTPAY-SMS, Zimpler and PAYFORIT. All transactions are processed in a safe and secured digital environment. WildSlots Casino offer an outstanding collection of video slot machines. They have specialised in the very best games producers available so therefore you can be sure to be able to play the latest slots from NetEnt, Microgaming, Play n’GO, BetSoft, Quickspin and many more. Some of the most popular video slots at the moment at Wildslots Casino are Dead or Alive, Fairytale Legends: Red Riding Hood, Secrets of Atlantis, Guns n’ Roses, Motörhead, Grim Muerto, Steam Tower, Poltava Flames of War and Justice League. WildSlots Casino doesn't accept players in certain jurisdictions, including the United States of America and Sweden.